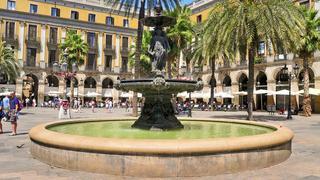 Only got 24 hours to spend in Barcelona? Dose up on Catalan culture, fine dining and classy cocktails with an off-the-beaten-track guide for those visiting Barcelona a part of a luxury yacht charter or private cruise. Experts Lisa Richardson and Niki Robinson, of Antiques and Boutiques and Daniel Sempere of the OneOcean Club’s Cocktail Bar reveal their top tips to make the most of the city on a tight timeline. 8am Breakfast Breakfast at DO, Plaça Reial, a gastronomic boutique hotel on a beautiful square, with a lovely old Spanish feel. It’s best experienced early before it starts filling up. Only got 24 hours to spend in Barcelona? Dose up on Catalan culture, fine dining and classy cocktails with an off-the-beaten-track guide for those visiting Barcelona a part of a luxury yacht charter or private cruise. Experts Lisa Richardson and Niki Robinson, of Antiques and Boutiques and Daniel Sempere of the OneOcean Club’s Cocktail Bar reveal their top tips to make the most of the city on a tight timeline. Breakfast at DO, Plaça Reial, a gastronomic boutique hotel on a beautiful square, with a lovely old Spanish feel. It’s best experienced early before it starts filling up. Head up to the Eixample district for amazing modernist architecture and two of the best streets for art and design. Carrer Seneca has lovely interiors stores and Miguel Alzueta the best gallery for contemporary artists and mid-century furniture. It is in a converted factory, hidden away down some steps – you can’t even see it from the street. Carrer d’Enric Granados also has some fantastic galleries and don’t miss Fins De Siècles for the best selection of art deco furniture. 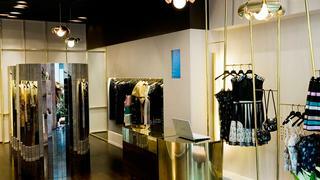 Ailanto (pictured above) is a cool, independent designer boutique selling elegant womenswear, all made in Spain. On the same street, bespoke shoes by Norman Vilalta are themselves works of art. Head up to the Eixample district for amazing modernist architecture and two of the best streets for art and design. Carrer Seneca has lovely interiors stores and Miguel Alzueta the best gallery for contemporary artists and mid-century furniture. It is in a converted factory, hidden away down some steps – you can’t even see it from the street. Carrer d’Enric Granados also has some fantastic galleries and don’t miss Fins De Siècles for the best selection of art deco furniture. Ailanto (pictured above) is a cool, independent designer boutique selling elegant womenswear, all made in Spain. On the same street, bespoke shoes by Norman Vilalta are themselves works of art. Finish your walk at the Champagne & Oyster Bar inside the new El Nacional, a trendy gourmet space tucked away down an alley. The former car park was restyled by local interior designer Lázaro Rosa Violán, to recreate the Barcelona of the 1930s and 1940s. Lunch at Martínez just in front of the Hotel Miramar, with fantastic views of the port. It does a lunchtime menu starting with a delicious vermouth. For architecture, head to the Montjuïc area and the Fundació Mies van der Rohe a pavilion designed by the famous architect in glass, steel and marble for the 1929 Barcelona International Exposition. If you’re feeling energetic, walk up to the Monestir de Pedralbes one of Barcelona’s best-kept secrets and far from the madding crowds of the Gothic quarter. 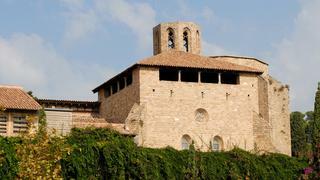 It’s a beautiful gothic monastery built in 1325 and one of the best examples of Catalan architecture. 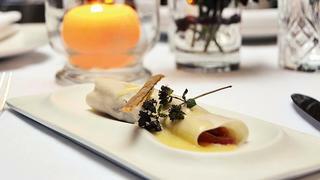 The Mercer Restaurant lies within the Roman walls of the Mercer Hoteles, surrounded by restored medieval frescoes. The chef, Xavier Lahuerta, is a Catalonian who cooks with great local produce. 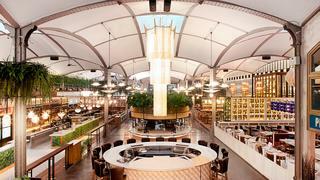 Next, Barcelona’s cocktail scene. Boca Chica is the classic cocktail bar, glamorous and quirky, with good branded rum and whisky, and a fine selection of Champagnes. Dry Martini Academy is a different idea, where clients pass to the other side of the bar and make their own cocktails, with a bartender at their side. Ohla Boutique Bar is the new gastro cocktail bar in a boutique hotel in the middle of Barcelona. It’s a beautiful space and they use these amazing machines to distil alcohol, then serve the drinks with smoke and other tricks in beautiful glassware. 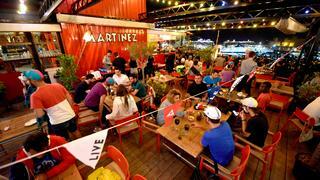 Next, Barcelona’s cocktail scene. Boca Chica is the classic cocktail bar, glamorous and quirky, with good branded rum and whisky, and a fine selection of Champagnes. Dry Martini Academy is a different idea, where clients pass to the other side of the bar and make their own cocktails, with a bartender at their side. Ohla Boutique Bar is the new gastro cocktail bar in a boutique hotel in the middle of Barcelona. It’s a beautiful space and they use these amazing machines to distil alcohol, then serve the drinks with smoke and other tricks in beautiful glassware. Creps al Born stays open until 2-3am and you can order something to eat and some fantastic cocktails. 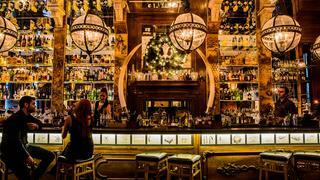 Or Bardot Barcelona is open until 2am and serves classic food. If this has inspired you to visit the city don’t miss our guide to seven days on a superyacht from Barcelona to Valencia. Creps al Born stays open until 2-3am and you can order something to eat and some fantastic cocktails. 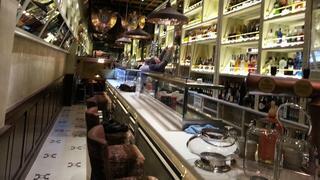 Or Bardot Barcelona is open until 2am and serves classic food. If this has inspired you to visit the city don’t miss our guide to seven days on a superyacht from Barcelona to Valencia.